Hi everyone! I’m so excited to tell you about my latest interview with a highly talented Hip Hop artist because his music in centred on something I love – the Gospel! 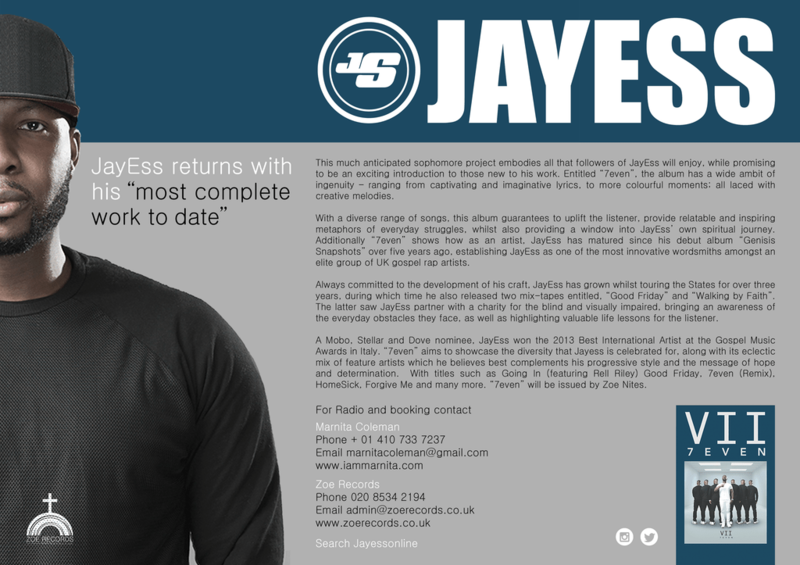 He’s a MOBO, Stellar and Dove Awards nominee, has a verified twitter account, @JayEssOnline – I’m not going to give too much away, let’s get straight into the interview! Hi JayEss! It’s lovely to have you here at ETP. Thanks for having me, I appreciate the love. Firstly, tell us a bit about yourself, where you grew up and your nationality. I’m a Hip Hop artist born in Nigeria but raised in East London. My rap name is JayEss which is basically my initials spelt out. Outside of music I work with young people and help them improve their learning and behaviour in school. What you do with young people is amazing! The Gospel rap/grime scene in the UK has come a long way from the times of tracks like ‘Bibles Bibles’ that opened it up to a wider audience; how do you feel about the expansion of the genre? I feel like Bibles Bibles did a lot for the scene and it was good to see everyone collaborate on one track and bring something different to the UK Grime scene. At that time there was nothing like it that was released, some of the general public didn’t know how to take to it so some laughed at it, but others really latched onto it and appreciated the guys bringing a positive message to the culture. The scene has grown since then and has expanded outside of the UK into other countries, we have people who were on that Bible Bibles song who have gone on to do major things in the industry and I’m very proud of my brothers. As with any form of art, stability is often difficult to attain due to its fluid nature; how were you able to proceed as an artist and still stay afloat? I guess its all about having a balance, it can be tough at times, because growing a scene which has a very small niche in the UK is hard to do as a full time hobby, because money needs to be rolling in, but it takes time to build so sometimes you’ll have to make that sacrifice. Hence why getting a full time Job or Part time job is important, It’s important that your job is also your passion, so you can make money at work building a career in that sector and also be building your music and not having to worry about the revenue flowing in constantly from the music because you have other streams of income. Nicely put! Let’s talk a bit about your latest track – Going in feat Rell Riley, what was the inspiration behind the lyrics? Well the Going In song came about just vibing off the beat, the song was produced by my good friend Kwest. As soon as I put pen to paper I had the flow and knew what angle I was gonna approach it from. The first verse starts off with “I’m back on my business” which a perfect introduction for me because I haven’t put anything out for a while. But the song is about people Going In 100% for what they believe in. The song has a great message! Rell Riley is an American rapper – how did the collaboration come about? Rell Riley is from Ohio, I met him while on tour back in 2010, and he passed me his mixtape and I really liked his style, so we stayed connected. He has featured on my Walking By Faith Mixtape and song called Unstoppable. However in this song, I could hear him on the hook, I had performed the “Going in” portion of the hook in my head but it didn’t sound right because it needed an American accent on it. 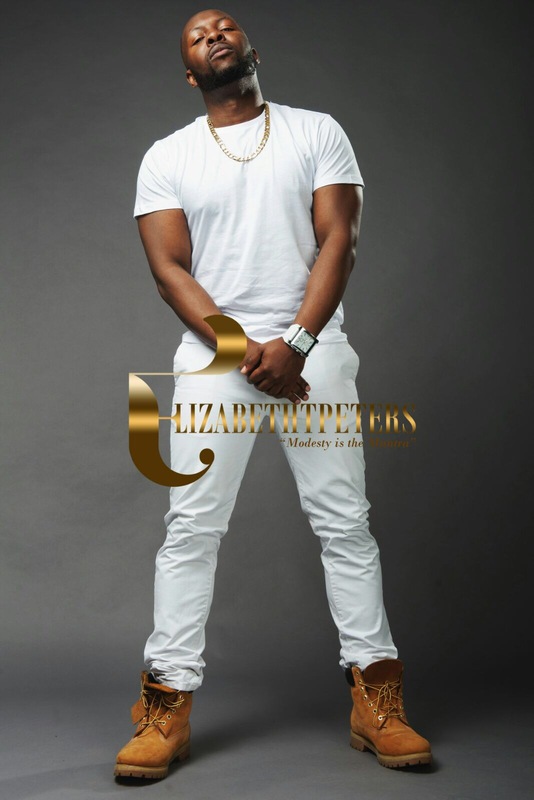 On to more personal grounds – your fiancé is beautiful! Everyone loves a good love story; how did you two lovebirds meet? Hahhahaha thank you so much, yes she is a sweetheart, I met her while on tour back in 2010. We kept in touch throughout the years as friends but in 2013 we decided to take our friendship to another level. Has being an artist had any negative effect on your relationship? Hmmmm no I haven’t had any difficulties in my relationship – because of my music, I guess she hasn’t felt the full brunt of what comes with being in a relationship with an artist because of the distance. Yes, we are in a long distance relationship, my Queen lives in North Carolina. She is very supportive and loves and respects what I do, she knows how much hard work is put into this, she also knows the impact my music has on people in a positive way. What you guys have is truly beautiful. Finally, do you have any words to say to your fans and supporters? Thank you so much for all your support throughout the years, I truly appreciate all my fans and supporters. Thank you for your time JayEss.